Racial tensions in some parts of the country have diminished but elsewhere the strife is palpable. The killing of a white supremacist leader this spring was preceded by the chanting of an anti-white song by Julius Malema, leader of the ANC Youth League. Plus unemployment is at 25 per cent and there’s no end to the massive amount of jobless. People continue to pour through the border from struggling African nations, especially Zimbabwe where the government of Robert Mugabe has snatched much hope for the future. Mandela, meanwhile, is frail. The patriarch of the new South Africa, who served as president from 1994 to 1999, is 91 and there are health issues surrounding anyone of that age. His name shot to the top of Internet search terms last week after he appeared with a group of former political leaders and activists. Even though Mandela didn’t make a statement, the fact that he was in public buoyed the hopeful who believe he will be at the World Cup opening ceremonies on June 10, the eve of the 64-game soccer tournament. Sepp Blatter, FIFA’s president, said recently that the 32-team event will be “Mandela’s Cup.” The Nobel Peace Prize winner campaigned hard for the games, the first held in Africa. The World Cup has created 415,000 jobs and more than $1.2 billion in infrastructure. But the government has also spent nearly that much on five new stadiums, some of which may sit empty for long stretches after the tournament. 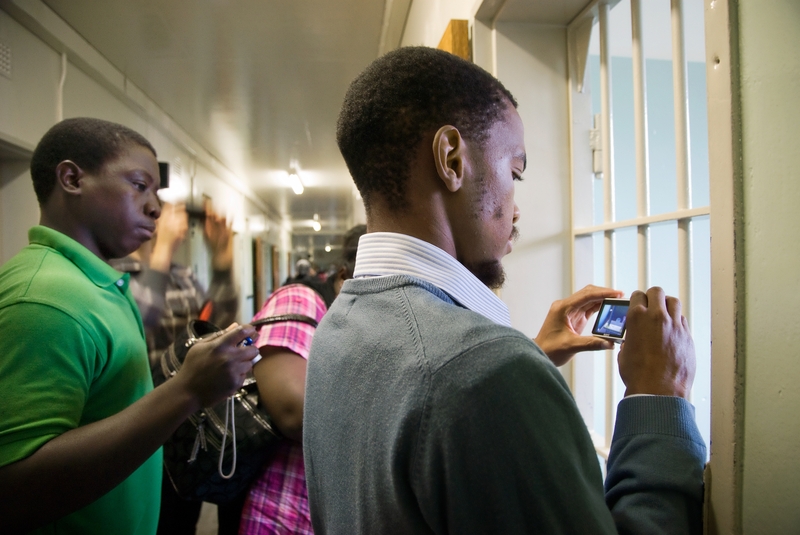 The expense is one of the major concerns for South Africans. They know the tournament could lead to greater success, but it could also be a temporary party that fizzles once the lights go out and the world goes home, leaving the nation with a lot of stadiums to fill and maintain, and a beautiful country to tend to despite miserable conditions. A reason the nation turns to Mandela is because as much as anything he represents optimism. That sentiment is displayed audaciously in Sandton, one of the wealthiest areas of Johannesburg. 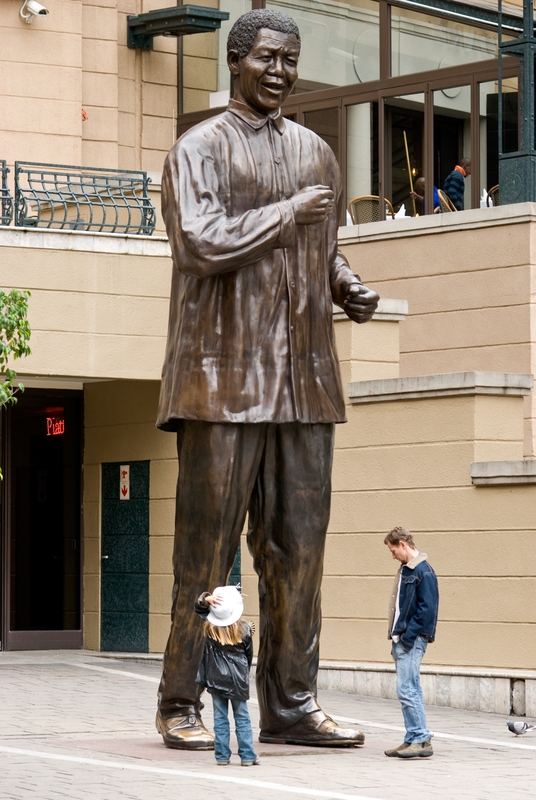 A popular square bears Mandela’s name and a six-metre bronze statue of him towers over it. Rather than showing a stoic, stone face, like just about every other bronze sculpture you’ll see of a luminary, Mandela is smiling gregariously, ready to dance. No matter the condition of his circumstance. There is no point arguing that Nelson Mandela is one of the greeatst leaders the African continent has produced in history. Here are some of Nelson Mandela’s best quotes:“I am fundamentally an optimist. Whether that comes from nature or nurture, I cannot say. Part of being optimistic is keeping one’s head pointed toward the sun, one’s feet moving forward. There were many dark moments when my faith in humanity was sorely tested, but I would not and could not give myself up to despair. That way lays defeat and death”. I dream of the realization of the unity of Africa, whereby its leaders combine in their efforts to solve the problems of this continent. I dream of our vast deserts, of our forests, of all our great wildernesses .“No one is born hating another person because of the color of his skin, or his background, or his religion. People must learn to hate, and if they can learn to hate, they can be taught to love, for love comes more naturally to the human heart than its opposite.”“I have walked that long road to freedom. I have tried not to falter; I have made missteps along the way. But I have discovered the secret that after climbing a great hill, one only finds that there are many more hills to climb. I have taken a moment here to rest, to steal a view of the glorious vista that surrounds me, to look back on the distance I have come. But I can only rest for a moment, for with freedom come responsibilities, and I dare not linger, for my long walk is not ended.” “One of the things I learned when I was negotiating was that until I changed myself, I could not change others.” “Overcoming poverty is not a task of charity, it is an act of justice. Like Slavery and Apartheid, poverty is not natural. It is man-made and it can be overcome and eradicated by the actions of human beings. Sometimes it falls on a generation to be great. YOU can be that great generation. Let your greatness blossom.” +4Was this answer helpful?